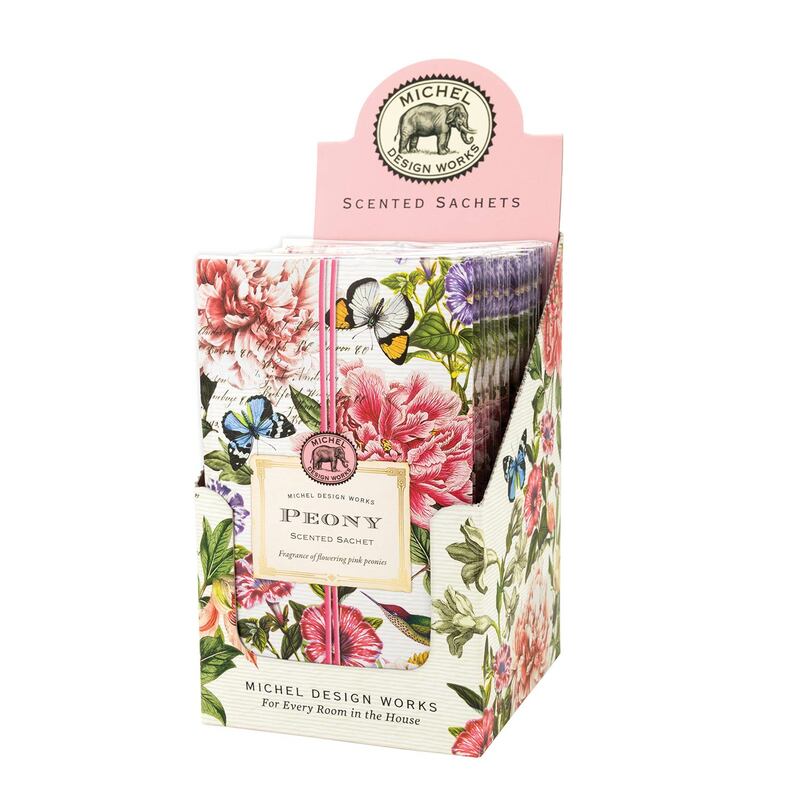 Peony Scented Sachet - 1 Sachet Shop the largest selection of Michel Design Works scented sachets and more - Peony Collection. Plus get free U.S. shipping on orders over $50! 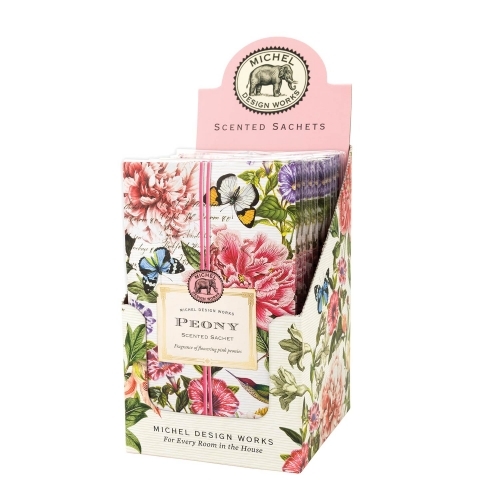 Peony: Lush and elegant, with a dazzling show of color, peony symbolizes romance and good fortune.